The simplest Creamy Scrambled Eggs can be made with just one extra ingredient which is always there in our fridge – Milk. I know “Milk” may sound strange but believe me, when milk is combined with eggs, the result is eggstraordinary. 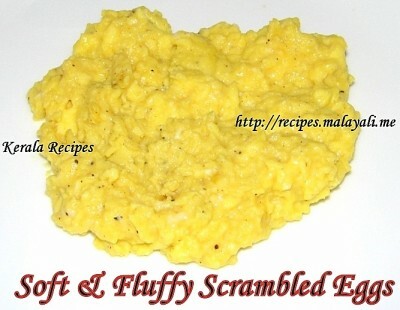 You will love these scrambled eggs and will definitely want to make it daily for breakfast. If you are in a hurry, you can always cook your eggs on a higher heat. It won’t take more than a minute or 2 to scramble your eggs on a higher heat, but they won’t be creamy like the ones in the first picture. 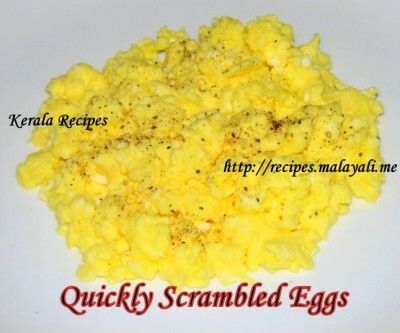 The below picture shows eggs which were quickly scrambled on medium-high heat. 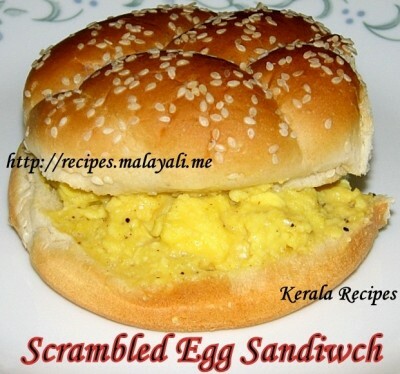 They were good but not as tasty as the Soft & Creamy scrambled eggs in the first picture. Beat the eggs and milk in a bowl until well combined. Heat a non stick pan on medium-low heat and coat it lightly with cooking spray. Pour the egg mixture into the pan and allow it to set for 30 seconds. Start stirring the eggs continuously, so that it doesn’t stick to the pan and become dry. Make sure that the temperature is on medium-low or else the eggs will dry out. Keep on stirring and remove the eggs from the pan when they are almost set but still creamy and little runny. It will take atleast 5 minutes. Season with salt and pepper to taste. You can serve this as a sandwich any time of the day.